Walk another 800m north on Nicholson Street until you come across some large gates with some large locks. You’re not the first ones to ‘trespass’, and you certainly won’t be the last – so push the gates as open as the chains will allow, go inside and see what all of the fuss is about! When there’s no one else there, this empty lot has an air of seclusion and solitude; I believe that this is why artists utilise its ample wall space. The fact that this plot includes street art and very little else is a testament to the value of graffiti in open spaces. It adds life, it adds colour, and it most importantly re-establishes a sense of public ownership. The brick feature wall is especially telling of this communal impression, as each piece, although markedly different in style, effortlessly flows into the next to create what seems like an unplanned mural. “Stop 4. 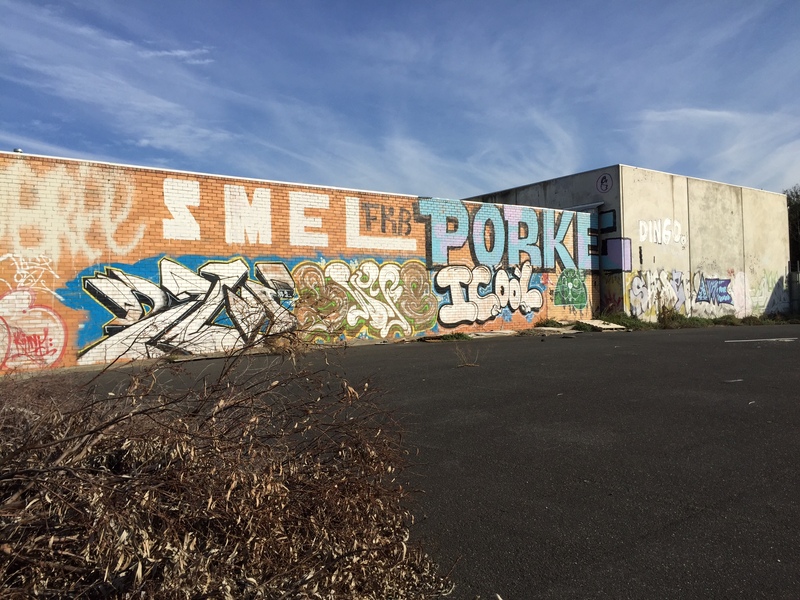 Open Lot,” Street Art deTours, accessed April 24, 2019, http://streetartdetours.com/document/1125.